Upstanding Others bring together a cohort of Bay Area, red/swing state, and Russian artists in a cultural exchange lab to explore how interdisciplinary arts can be a model for cultural pluralism. 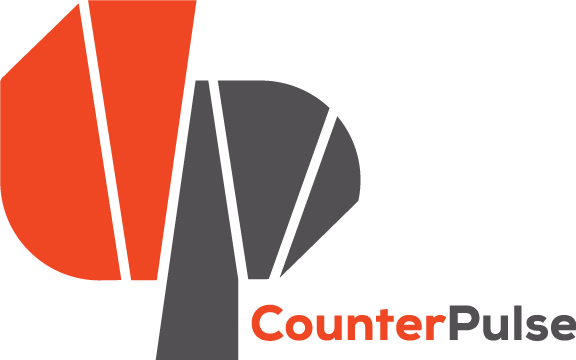 Experience the FREE showcase of the cohort’s seven day studio intensive as part of the inaugural CounterPulse Festival. Megan Young brings a decidedly Midwestern perspective to Upstanding Others. Her body of work addresses activist themes, especially considering race, gender, and sexuality. As a movement and new media artist, she am also consider how technology intersects policy and social expectations on the body. Bhutto and abad are a collaborative team investigating queer future landscapes. Their process involves exploring historical perspectives and decolonizing narratives. We intend to resurrect lost ritual in order to heal the wounds of the present so we may create a radical future history. A revolution by those on the fringes invested in reinstating our agency, against a world order that has robbed us of our individual voices for so long. Tara Pandeya is a second-generation dancer, cultural activist, and choreographer. Her unique career path living and studying in Central Asia, India and the Middle East is a testament to her dedicated, in-depth and passionate approach to the form and her quest for continual growth. She is a bridge-building artist who is dedicated the last twenty years of her life to the promotion of dance from the Central Asian Silk Road region. She specializes in dance from the regions of Afghanistan, Uzbekistan, Tajikistan, East Turkestan and Iran. Saulaman Schlegal is a multidisciplinary artist, currently experimenting with religious practices as a vehicle for expressing complex identity issues. Their work focuses on non-binary gender roles, and explores the androgyny of Christian saints, martyrs, and Christ. They are confronting identity in terms of things, both societal and biological, one cannot remove or disassociate from, and finding poetry in the existence of those very things once alien. Their work seeks to open a dialogue about queerness, and perceived and hidden identities. Nina Gasteva is a dance-artist, choreographer, performer, teacher based in St.Petersburg. In her art practice she interprets the every-day living and resolves the banal problems of plain existence, such as obtaining a retirement right for a free-lance dancer in Russia or consumer’s behavior in the Postsoviet environment. Olga Tsvetkova is a Russian artist currently living and working between Moscow and Amsterdam. Her interest lies in performance and specifically in relation to the choreographic scores that she applies in her artistic work to sculpt time and to construct the space. However, she also believes that art is a surprise, it cannot be calculated; it’s a prey, a catch. Olga feels connected with the things that collide and contradict each other, the colliding gives different segments of space, it creates volume. With one direction you narrow and kill phenomenon. In her works she seeks for sincerity, nature and precision. Olga’s artistic passion is a constant attempt to give a shape to the feelings of her senses. Sasha Portyannikova is a Moscow based dance artist. Co-founder of the dance cooperative Isadorino gore. Sasha focuses on social choreography in the form of dance interventions, and thus studies ideology that is shown through the dance art. Currently she continues the research in social choreography by teaching in New York as a Fulbright Visiting Scholar. This project is supported by the Kenneth Rain Foundation for the Art and GPS/Global Practice Sharing program of Movement Research with funding from the Trust for Mutual Understanding.